I don't know about you, but the sudden change of weather has caught me off guard. I might have even put the heating on yesterday. We always prepare ourselves for the colder weather by buying warmer clothes, changing what we eat for warmer heartier meals and even changing our skin care routine. One thing we do neglect is our cars, winter is one of the hardest seasons to drive in, with all the ice, snow and cold weather. 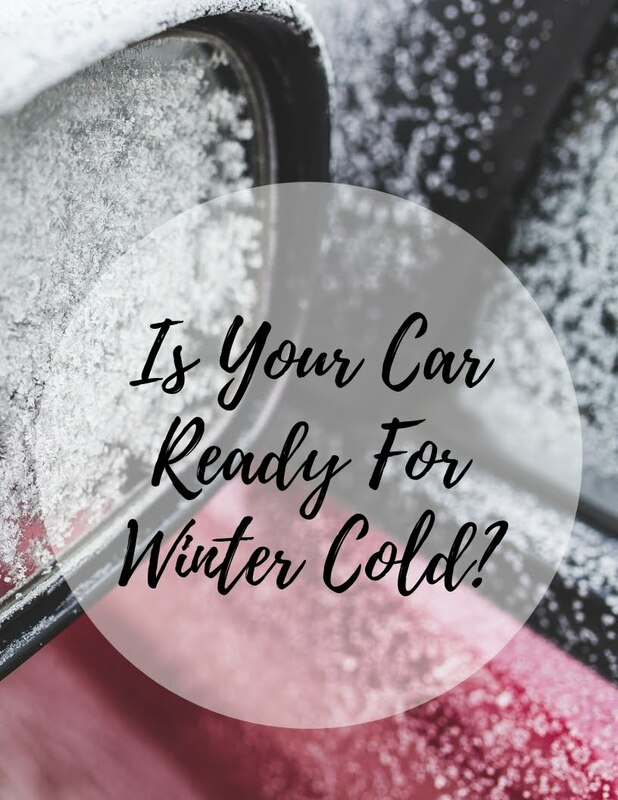 The weather can have a big effect on the way your car drives, so it is important to make sure your car is ready for winter by doing some car maintenance. Before you use your car, you should really take it to get a service. A service will make sure that your car will run for longer. You should always make sure you take your car to a trustworthy garage like Iverson Tyres. Make sure your tyres are in tip-top condition, the legal limit for tyre tread is 1.6mm. You should also check that your tyres are not over or under inflated as this cause issues with your steering which could lead to a collision. Check that neither the treads are not cracked or damaged. Any damage here can get worse on the roads. I know this sounds random but during the colder season your car gets really dirty from all the mud, sleet and snow. Not only does this cover your car lights, but the dirt could cover other things which could be wrong with it. Plus who doesn't love driving around in a sparkly clean car? Winter is one of the hardest seasons to drive in, with all the snow, icy roads, and cold weather. The cold weather can make the pliable materials stiffer and more brittle, and it can also make fluids thicker. Additionally, the roads can be more dangerous due to the icy and snow-covered roads. For this reason, you must make sure to have your car ready for winter by doing some basic car maintenance checks. Doing so will help you save money and time as the season turns for the worst. Here are some simple car maintenance tips to help you get through the winter. Before you use your car, you must take it to your car service center for a tune-up. A tune-up will help keep your vehicle running longer, and it will also help you save money by detecting and preventing problems. There are different types of tires available for different driving conditions. When choosing the right tires for winter, you must first consider your needs. The all-season tires are not usually effective during winter where there are lots of snow and icy roads. For instance, there are winter tires with new tread patterns and rubber compounds which make them quieter on dry roads, and very effective on icy roads. Choosing the right winter tires will help you avoid slipping off the road or other accidents. You have to check that your car's transmission, power steering, brake, and windshield fluids, as well as the oil, and coolants are filled to proper levels. You also have to remember that there are certain engine oils that don't perform well in the cold weather. Make sure that your oil is good for your location, and change it when necessary. If your fluid levels are at proper levels, your vehicle will run better and you will be less susceptible to road problems. Since you will be driving your vehicle on testy roads, you must pay close attention to your car's battery. You have to realize that winter puts more stress on your car battery, especially if you park outdoors. You can consider a load-test for your battery since this is cost-effective and can save you from problems down the road. If you find out that your battery is not doing well, you can replace it when you need to. You must always bring with you an emergency road kit. In addition, you must also have a special winter emergency kit which includes: sand for tire traction on snow, and an ice scraper and de-icing liquid.